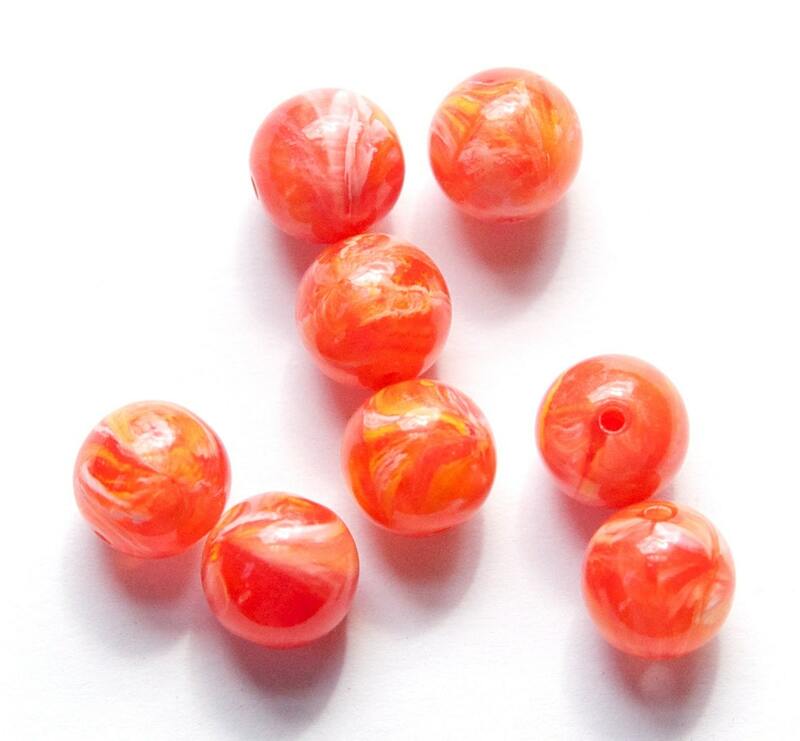 Characteristics: These are a clear based bead with a random swirls of orange, yellow and white. Color: Clear, Orange, Yellow and White. Additional Information: Some beads may look like they have a seam in the picture. This is not a seam, it is where the colors are meeting within the bead.